The price includes a $2 million construction credit, according to Curbed, which first spotted the listing. Combination listings at the 46-story building are relatively common, and many of the units currently for sale are different amalgamations of the same apartments. 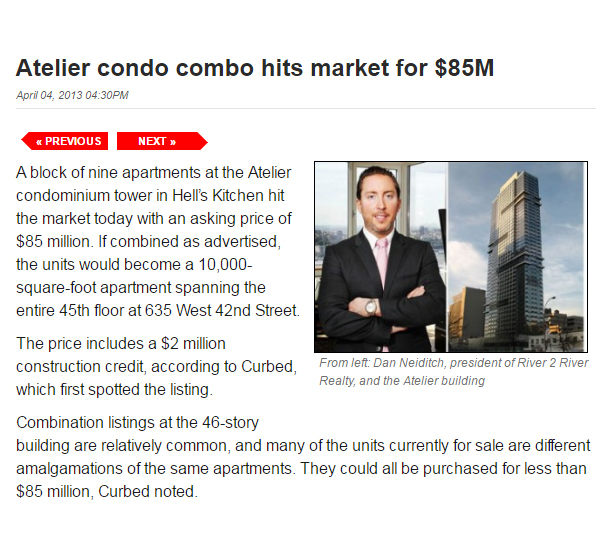 They could all be purchased for less than $85 million, Curbed noted.